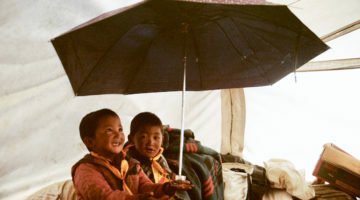 There are two kinds of refuge, says Mingyur Rinpoche—outer and inner. The reason we take refuge in the outer forms of enlightenment is so that we may find the buddha within. Everyone takes refuge in something. Often it’s in relationships, locations, or activities that offer the body or mind a sense of security and protection. Even neurotic or unhealthy habits—like eating too much chocolate or giggling compulsively—can function as a protective shield to ward off feelings of anxiety or vulnerability. Ask yourself, “Where do I look for happiness? Where do I seek security and comfort?” In love, in social status, or in the stock market? Our car may break down, our company may declare bankruptcy, or our partner may walk out. Our perfect health will surely deteriorate and a loved one will surely die. The stock market goes up and down; reputations go up and down; health, wealth, and relationships—all these samsaric refuges go up and down. When we place our trust in them, our mind goes up and down like flags flapping in the wind. One Frenchman told me that his own Tibetan teacher had discouraged students from ordination. This really surprised me. He explained that his teacher had said, “Most Westerners who put on Buddhist robes take refuge in their robes, not in the Buddha, dharma, and sangha.” I assured him that this was not limited to the West. We live with a sense of lack that we long to fill. The monkey mind habitually tries to merge with something—particularly another person— in order to alleviate our pervasive sense of insufficiency. Yet samsaric refuges are inherently impermanent, and if we rely on permanence where none exists in the first place, then feelings of betrayal and anger compound the loss. Emotions can also become refuges. Responding with anger and self-righteousness and looking for something to blame can become a habitual place to hide. If anger reassures your identity, you may return to that state for shelter, the same way someone else returns to their home. Perhaps your habit is to become overwhelmed by confusion and to ask others to come to your rescue. Chronic helplessness can be a refuge, a way of pulling back from the world and from your responsibilities. Before taking refuge in the three jewels, it’s helpful to know the refuges you already depend on, because this examination might really inspire you to turn in another direction. Taking refuge doesn’t protect us from problems in the world. It doesn’t shield us from war, famine, illness, accidents, and other difficulties. Rather, it provides tools to transform obstacles into opportunities. We learn how to relate to difficulties in a new way, and this protects us from confusion and despair. Traffic jams do not disappear, but we might not respond by leaning on our horns or swearing. Illnesses may afflict us, but we might still greet the day with a joyful appreciation for being alive. Eventually we rely on the best parts of our being in order to protect ourselves from those neurotic tendencies that create dissatisfaction. This allows for living in the world with greater ease and without needing to withdraw into untrustworthy circumstances in order to feel protected. We work with two kinds of refuge: outer and inner. With outer or relative refuge, we see the Buddha, dharma, and sangha as being outside of ourselves. This duality definitely offers more reliability than conventional refuges, but with limited benefits. As long as the Buddha is somewhere other than in our own heart and mind, we won’t see the true buddha—the empty clarity of our own pure awareness. The inner refuge helps us make the leap from the buddha outside to the buddha inside. With inner or absolute refuge, the duality between outer and inner dissolves. Ultimately we rely on ourselves, on our own buddhanature, and on our own awakened qualities. Purification is the process of making these qualities more accessible so we can integrate them with our daily life. With practice, we recognize in ourselves the very buddha in whom we take refuge. This is the essence of practice. Wanting to take refuge is itself an indication of buddhanature. We take refuge to be happier, to be free from suffering, and to feel more secure and stable. Why do we say that this wish itself reflects buddhanature? Because we never accept suffering as the normal or natural human condition. Whatever the degree of our unhappiness, this longing arises to be free of it. Where does this longing come from? How can we account for our deep sense that liberation from dukkha is possible? The answer is our own intrinsic wisdom. Nothing else explains why we intuitively know that our unhappiness is off balance, that it’s not our true self, and that it can be alleviated. Our buddhanature does that. It’s like an internal compass that keeps our direction set toward contentment, no matter how much anguish or pain we endure. Some people interpret buddhanature as a kind of object. It almost takes on the quality of material matter, and our metaphors might contribute to this misunderstanding. When we speak of buddhanature as a diamond or as an internal compass, it might sound like a physical organ, such as the heart or lungs. But it’s not like that. It’s more like mustard oil that thoroughly suffuses every particle of a mustard seed, but becomes evident only when the seed is pressed and the coarse matter eliminated. The oil was never separate from the seed, nor did it occupy a specific location within the seed. We obtain oil through refinement, or we might say through purification, yet what we get was always there. Taking refuge in the three jewels expresses the most fundamental connection to Buddhism. Having confronted the limitations of samsara, we are ready for a change. We cannot renounce the temptations of samsara all at once, but this vow helps steady our intentions. It reminds us of what is true, both in the world and in ourselves. The outer meaning of taking refuge in the Buddha refers to Shakyamuni Buddha, the historical Buddha who lived in India. We call him the awakened one, the one who has gone beyond all dualities and concepts, beyond all forms of confusion and suffering. His enlightenment and his teachings continue to inform all Buddhist schools and practices. Yet in whom did the Buddha himself take refuge? We know that the Buddha’s father, King Suddhodana, sought protection in political power and social standing. We know that the king’s attempts to keep his son bound to the householder life through sensory enticements did not work. 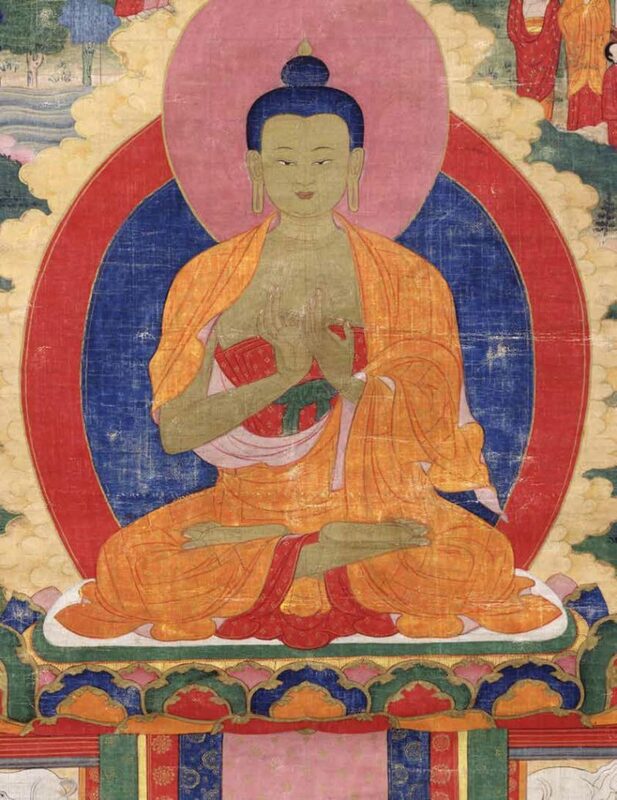 Slipping past the palace guards, Siddhartha embarked on the life of a seeker, taking refuge in forests and caves, and with teachers who had mastered the practices of asceticism. But just as he had rejected his father’s path, after six years he rejected the austerities, as well as the rituals of the ruling Brahman priesthood. When Siddhartha sat down under the bodhi tree, he took refuge in himself. Relying on instinct as well as years of training and experience, he abandoned every orthodoxy, determined to liberate his mind from the very roots of suffering. It’s important to use this model of self-reliance—and it’s important not to misuse it. We cannot dismiss the Buddha’s teachings in the name of creative autonomy, and we cannot just follow the Buddha like a baby duckling follows its mother. We neither discard genuine faith nor indulge in blind faith. But we draw on the ordinary human habit of placing trust in exceptional sources and use the Buddha—his teachings and example—to inspire us. When someone that we identify as special speaks, we listen with heightened attention and trust. These natural tendencies initially direct our refuge practice. We use the images, words, and activities of enlightened beings to intensify our devotion and receptivity. With the enlightened beings before us, we bow and chant with more enthusiasm than if we imagine regular beings. We take refuge in the guidance and words of the Buddha, who embodies all enlightened beings. We use the outer Buddha to take refuge in our inner buddha. The enlightened qualities that a buddha manifests are boundless wisdom, boundless love and compassion, and boundless enlightened activity. When we venerate the buddhas, we acknowledge and value their manifestation of enlightenment. The seeds of these qualities exist within us, but we cultivate them through veneration and devotion. Boundless wisdom has two aspects: relative and absolute. Absolute wisdom means the direct realization of the empty, illusory nature of all phenomena. Relative wisdom reminds us that the Buddha is not just “spacing out” in nirvana and thinking, “Everything is wonderful, no one is suffering, there is no work for me to do.” Relative wisdom means that the Buddha knows our relative reality; he knows our suffering, our neuroses and delusions, our confusions, concepts, and impure perceptions. The word boundless here means there is nothing beyond a buddha’s perception. This is like the immeasurable love that a mother has for her only child. She loves the child more than she loves herself. It is limitless love. We are like the Buddha’s child. Love and compassion can be limited by concepts; immeasurable, boundless love exists beyond concepts. This describes the limitless ways that the Buddha helps us. Still, every day, millions of people suffer from natural disasters, financial crises, romantic problems, monkey-mind problems, and it seems that the Buddha refuses to help. The Buddha himself said that a buddha could provide the perfect conditions for extinguishing dukkha by illuminating the path of dharma. But it’s our responsibility to provide the causes for that to happen. That’s why we practice. The buddhas are always available, but we are not always open to what they offer. They can open the door and shine the light, but if we don’t walk through that door, we remain in darkness. In order to eliminate suffering, we need the supreme protector, which is dharma. It is dharma that can really save us from samsara. Only by following the path of dharma—which means practice—can we develop self-realization. There are two types of sangha: noble and ordinary. The noble sangha refers to the bodhisattvas, arhats, and other sages who have attained direct realization and hold the lineage of wisdom teachings. 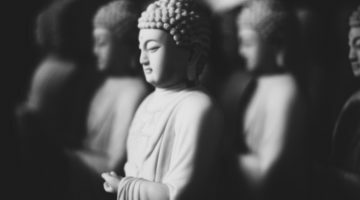 The ordinary sangha are members of our practice community. Both types play a critical role in our development, yet we only take refuge in the noble sangha. While we are still in samsara, it’s important to take refuge in what goes beyond samsara, beyond ordinary. We keep our orientation toward what we aspire to grow into. We need to make the stretch. Let’s say there’s a shiny new car at a dealership. It appears to be perfect, but we still need to take it for a test-drive. The car that never leaves the shop is like a practitioner reciting nice words about compassion and selflessness without the opportunity to test-drive their intentions and aspirations. How do the bodhisattva ideals hold up when we actually interact with others? Problems within the sangha inevitably arise because we’re talking about unenlightened people trying to get along with each other. Jealousy, competition, and anger inevitably erupt. Although individual practitioners have unenlightened minds and commit unenlightened activities and get ensnared in ignorant understanding, the ordinary sangha still offers the best opportunity to apply dharma. We have shared ideals and shared goals, and we can turn to the lineage of teachers and texts for guidance. We should be able to hold a mirror up to each other in ways that others cannot. 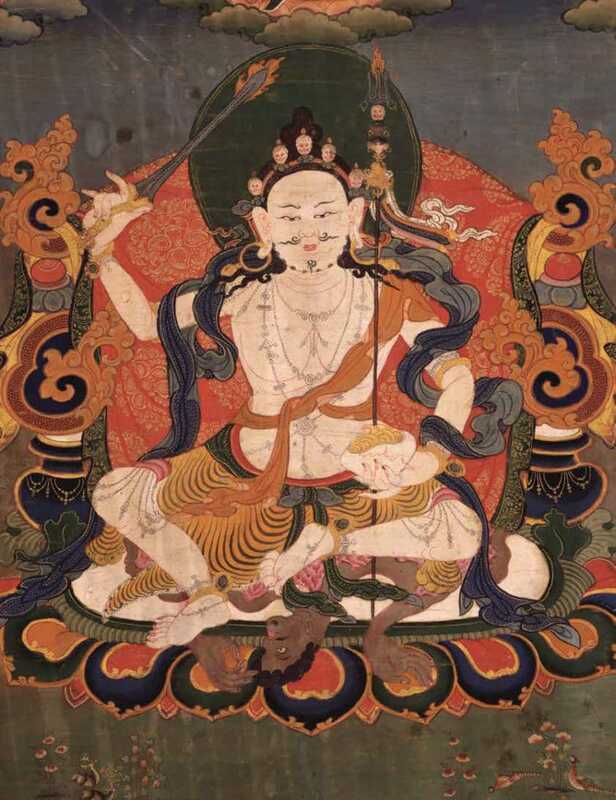 In Vajrayana practice, in addition to the three jewels—Buddha, dharma, and sangha—we take refuge in what we call the three roots: the guru, the yidam (or meditation deity), and the dharma protectors. The guru is the root of blessings, the yidam is the root of accomplishment, and the protectors are the root of activity. The guru or teacher is of utmost importance because of the interdependent connection between teacher and disciple. The Buddha who lived thousands of years ago cannot guide us to our own buddhahood as effectively and expediently as the guru. The living teacher embodies the wisdom of the practice lineage and functions like a lit lamp that has the energetic power to ignite the mind of the student. If you make a connection, you will get lit, too. This is what we call transmission. Transmission or blessing does not just come through formal rituals and ceremonies, or through words. If a teacher rests his or her mind in realization and teaches from that place, that quality of mind can be expressed and communicated, and can be transmitted to a student ready to receive it. Through the teacher’s hand gestures, facial expressions, tone of voice, and so forth, the student can receive and begin to embody the view that the guru is transmitting. The living lineage comes through the teacher, not the historical Buddha. For the student, the teacher is kinder than the Buddha because he or she is the root cause of our spiritual maturation. Blessings come not only from the guru, but also through the guru, who is perceived not only as a living buddha but also as the prime vehicle for the dharma teachings and the noble sangha. Our ability to recognize and use the benefits of the guru’s blessings depends on our devotion. Devotion makes us receptive to all the guru offers. Without devotion, we are like cups turned upside down, unable to take in anything. For our refuge practice, the guru is understood to be our personal teacher or guide. The guru may also refer to the teacher who gave us the transmission for this particular practice. The conventional sense of guru as other—the teacher over there who teaches the student over here—is of utmost importance, because without this teacher, or what we call the outer guru, we might never hear the words of dharma. More profoundly, the outer guru puts us in touch with the inner guru, which is none other than the natural wisdom of our original mind and what we ultimately take refuge in. It’s the source of everything we normally think we are missing: peace and tranquility, insight and wisdom, compassion and empathy. Everything we long for, we already have. The outer guru is like the key, but when we open the door we discover ourselves, our true guru. The meditation deities, or yidams, are the root of accomplishment. When we enter into a relationship with them, their enlightened qualities illuminate our very own, helping us accomplish our own realization. Each yidam signifies a particular aspect of enlightened mind. For example, in the second unique foundation practice, we focus on the meditation deity Vajrasattva to purify our negativities. 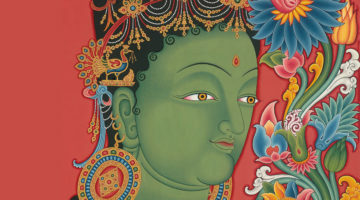 If we are concentrating on compassion, we might invoke Chenrezik, also called Avalokiteshvara. Basically, we use an archetypal projection of an enlightened quality to see ourselves reflected in that mirror. Having created a dualistic structure as a skillful means, we then grow into our enlightened projection. In guru yoga, we eliminate the duality and inhabit the meditation deity in order to further deepen and clarify our inner qualities and to experience ourselves as awakened in the present moment. At this stage of our practice, we start with the yidams in a dualistic sense by imagining them “over there” as part of the field of enlightened beings. But ultimately we come to see that the deity and the mind of the student have never been separated. We refer to the yidams as symbolic forms of buddhahood because the imagery symbolizes and points to views that we use on our path. For example, the six arms of a particular yidam may represent the paramitas, the six “perfections” or virtuous behaviors that we need to cross over from samsara to nirvana: generosity, discipline, patience, diligence, meditation, and wisdom. Four legs might represent the four noble truths: the truth of suffering, the truth of the cause of suffering, the truth of the cessation of suffering, and the truth of the path of practice. One face represents dharmakaya, the oneness of all phenomena—no subject, no object, no duality, no samsara, no nirvana. Two arms represent wisdom and compassion. Two legs represent relative and absolute realities. When the legs are crossed, it represents the union of the relative and absolute. 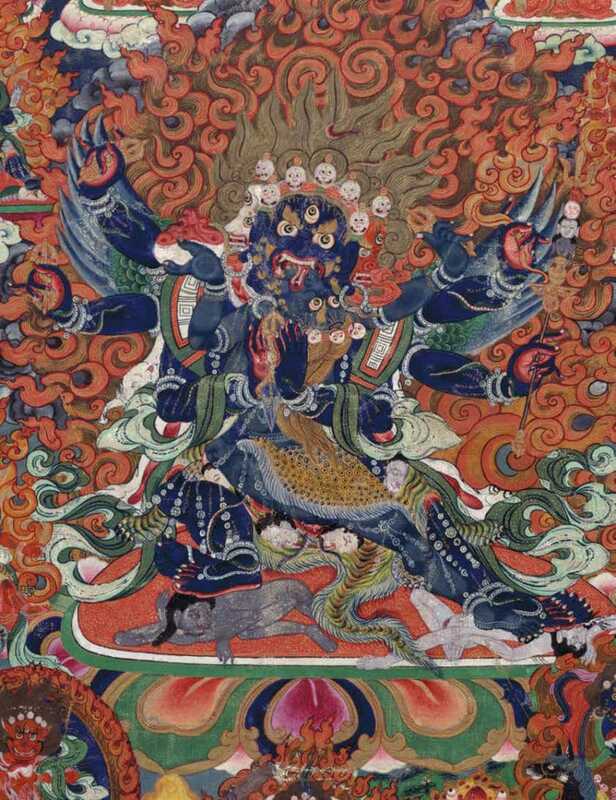 The important point is that no matter how bizarre images with many heads, arms, or legs may appear—especially if you are unfamiliar with Tibetan images—these forms all have meaning. Furthermore, the meaning directly reflects qualities that you already embody. They are symbolic ways of mirroring your own realized mind. Remember, you are turning away from the refuges of samsara, toward the truest source of protection. What could be more reliable than your own buddhanature? The yidams help us accomplish our goals by taking different forms, which are categorized as peaceful, enriching, magnetizing, and wrathful. This diversity reflects the varying needs of practitioners. Dharma protectors are the root of activity. They are not quite completely realized buddhas, but more like the bodhisattvas of the noble sangha who genuinely aspire to help beings recognize their own enlightenment. Dharma protectors are like assistants, aides, or helpers. These protectors—or dharmapalas—include a wide range of enlightened beings such as dakas, dakinis, and mahakalas. The protectors evolved as keepers of the dharma or guardians of the Buddhist teachings. Worldly protectors are local deities or folk gods that people pray to for help with their crops or for the immediate environment to be protected from floods and storms. These are not enlightened beings and should not be confused with wisdom dharma protectors, who are bodhisattvas. With refuge practice, we cultivate protection in the reliable sources of the three jewels and the three roots. That’s what we sign up for. But we receive many other benefits: loving-kindness, compassion, and bodhichitta; shamatha and vipashyana; purification and merit. The main point of the entire practice is to recognize our own awareness and to nurture it. Imagination is a wonderful support for that. In the context of taking refuge, we can rest our awareness on the refuge tree or use physical sensations, the sound of the prayer, or even awareness itself as a support. By the end of the common foundation practices, we aspire to be free from suffering but we don’t have a clear sense of our destination. Once we make a connection to reliable sources of protection, our destination comes into view. We begin to discover the missing piece in our pursuit of happiness, which has eluded us because samsaric refuges do not last. This connection to Buddha, dharma, and sangha is not like a rigid, concrete bridge that connects one side of the river to the other and is designed to last for a thousand years. It’s more like an enchanted rope that slowly but inevitably draws the two shores closer together until they merge and we realize that samsara is nirvana and that the outside buddha and the inside buddha are the same.